We only use the freshest produce to make our juice. Our ingredients are naturally or organically grown by farms in our region whenever possible to ensure freshness and the best quality. Some produce listed below is only used seasonally or for limited availability blends. Almonds contain properties that may help reduce LDL cholesterol and increase HDL cholesterol (LDL is the bad cholesterol that clogs up your arteries, while HDL cholesterol actually acts to reverse the process of LDL). This, in turn, can help improve blood flow, circulation, and nutrient delivery throughout the body. Almonds can also help improve skin complexion with its high vitamin E content. The phytonutrients in apples can help you regulate your blood sugar. Flavonoids like quercetin found in apples can inhibit enzymes like alpha-amylase and alpha-glucosidase. In addition, the polyphenols in apple have been shown to lessen absorption of glucose from the digestive tract. Bananas are a good source of potassium, an essential mineral for maintaining normal blood pressure and heart function. They also contain small amounts of sterols like sitosterol, campesterol, and stigma sterol that can block the absorption of dietary cholesterol. Beets are great for your liver. Along with an abundance of nitrates, beets contain a significant amount of betaine, a phytochemical that is involved in maintaining s-adenosyl-methionine (SAM-e), which is required for cell growth and repair, along with maintaining mood levels. Betaine also helps the liver process fat, reverses an issue known as fatty liver disease, a disease that has been linked to diabetes, obesity, hypertension, and alcoholism. Carob is a pod from the carob tree that is used as a sweetener similar to chocolate. Carob is good for digestive health, regulates blood glucose, and helps lower cholesterol. Cashews contain a broad spectrum of essential vitamins and minerals, and have no saturated fat or cholesterol. Just one ounce contains 20% of the suggested daily value of magnesium alone, a mineral of which most people are likely to be deficit. Cayenne pepper is a known treatment for muscle and joint pain due to its content of capsaicin. Capsaicin is also a thermogenic agent, which means it warms the body. In doing so, the metabolism increases and aids in burning fat. Chia seeds are actually a complete protein. They help you feel full along with possessing many other health benefits, such as antioxidants, healthy fats, and fiber. Chia is also known to increase and promote sustained energy due to its components. The meat of the coconut used to be criticized for its high saturated fat content. Further studies have shown that a high percentage of these fats are in the form of medium chain triglycerides (MCTs) and are easily broken down and used as energy in the body once digested. Coconut water is one of nature's most effective tools in rehydration. Any time sweat is lost, the body loses electrolytes with it. Coconut is plentiful in electrolytes that help replenish your body's store. Cytokinins in coconut water have shown significant anti-carcinogenic, anti-aging, and anti-thrombotic effects. A nuisance to a gardener but a nutritional powerhouse, dandelion has been shown to aid in digestive health, improves liver function, and boosts the immune system. They are a great source of boron which prevents calcium loss and promotes bone health. Thus it is important in the fight against osteoporosis. Pound for pound dates contain more potassium than bananas. Source of: Vitamin A, B, B2, C, D, and potassium. Ginger has a long tradition of being very effective in alleviating symptoms of gastrointestinal distress. In herbal medicine, ginger is regarded as an excellent carminative (a substance which promotes the elimination of intestinal gas) and intestinal spasmolytic (a substance which relaxes and soothes the intestinal tract). Modern scientific research has revealed that ginger possesses numerous therapeutic properties including antioxidant effects, an ability to inhibit the formation of inflammatory compounds, and direct anti-inflammatory effects. Grapefruit juice is a good source of nutrients and phytochemicals that are part of a healthy diet. Additionally, it is known for its cleansing properties to the digestive and urinary systems *Grapefruits may interfere with the absorption of prescription medication. We must advise you to consult with your physician whenever making dietary changes. 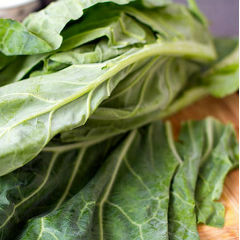 Raw kale can provide you with some special cholesterol-lowering benefits. Kale's risk-lowering benefits for cancer have recently been extended to at least five different types of cancer (bladder, breast, colon, ovary, and prostate). Isothiocyanates (ITCs) made from glucosinolates in kale play a primary role in achieving these risk-lowering benefits. Kale is now recognized as providing comprehensive support for the body's detoxification system at a genetic level. Researchers can now identify over 45 different flavonoids in kale. With kaempferol and quercetin heading the list, kale's flavonoids combine both antioxidant and anti-inflammatory benefits in a way that gives kale a leading dietary role with respect to avoidance of chronic inflammation and oxidative stress. Source of: Vitamin A, B2 and C, fiber, potassium, iron and a whole mess of other phytonutrients, it is also a wonderful diuretic. So, it is very cleansing. The concentration of phytonutrients, flavonoids, and antioxidants in oranges and the orange family help promote optimal health. A high intake of Vitamin C and flavonoids have been shown to decrease the risk for heart disease by 50%. Parsley has been known to be powerful blood detoxifier. It contains volatile oils (particularly myristicin) which have been shown to inhibit tumor formation in animal studies, and particularly, tumor formation in the lungs. Myristicin has also been shown to activate the enzyme glutathione-S-transferase, which helps attach the molecule glutathione to oxidized molecules that would otherwise do damage in the body. The activity of parsley's volatile oils qualifies it as a "chemoprotective" food, and in particular, a food that can help neutralize particular types of carcinogens (like the benzopyrenes that are part of cigarette smoke and charcoal grill smoke). While pears are not an unusual source of conventional antioxidant or anti-inflammatory nutrients, the phytonutrient category is where this fruit excels. The combination of apples/pears ranked as the second highest source of flavonols among all fruits and vegetables. Romaine lettuce, while often overlooked in the nutrition world, is actually a very nutritious food. The vitamins, minerals, and phytonutrients found in romaine are especially good for the prevention or alleviation of many common health complaints. Romaine lettuce can contribute to a heart-healthy diet. Source of: Vitamin A, chlorophyll, and vitamin C. Greens are also known to be sources of calcium, iron, folic acid, and potassium. Spinach is a superfood. It is rich in phytochemicals, flavonoids that act as antioxidants, and vitamin/mineral content. Additionally, spinach is a good source of omega-3 fatty acids, niacin, pantothenic acid, and selenium. Has key phytochemical anthocyanins that make it effective in preventing cancers of the digestive tract. It’s known to be a rich source of vitamin K, which is vital for maintaining bone density. It’s great for diabetics in that it protects damage to the Kidneys. Chard contains 13 different polyphenol antioxidants which help you fight disease and biotin Vitamin that you need for hair growth and strength. It’s also an excellent source of iron which is needed for red blood cell formation and anemia prevention. 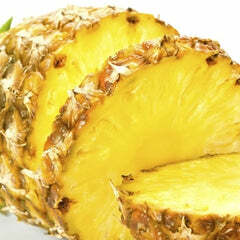 Source of: Vitamin E, K, B6, riboflavin, calcium, magnesium, phosphorus, potassium, copper, and manganese. It’s a good source of zinc, folate, and thiamin. Tomatoes contain a high amount of lycopene, a very powerful anti-oxidant. Tomatoes help the body ward off cancer, inflammation, and reduce the risk of heart disease. Watercress, like grapefruit, may alter the absorption of certain prescription medications. Please follow up with your physician to discuss if watercress can be safely added to your diet. Watermelon is great for hydration. The rinds of watermelon contain citrulline, which has recently been hitting the supplement store shelves because it is an arginine precursor helping deliver nutrients to the muscles via blood circulation. Wheatgrass is great for the skin. It is rich in chlorophyll, and may help the body rid itself of toxins. Chlorophyll has a molecular structure strikingly similar to hemoglobin (the molecule in human blood). A study from the Journal of Indian Pediatrics showed that patients with a form of anemia required fewer blood transfusions after consuming a daily shot of wheatgrass juice.